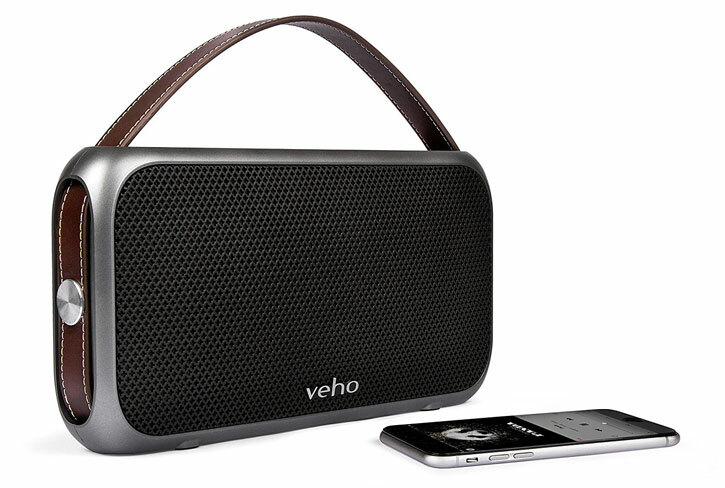 The Veho M7 Bluetooth wireless speaker truly has to be heard to be believed. 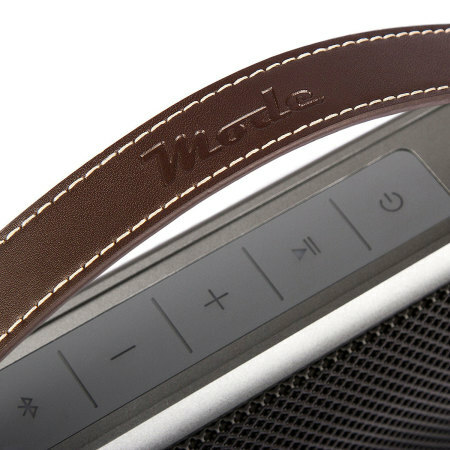 Dual acoustic drivers and 2 10W speakers give the M7 an absolutely massive sound, while the build is lightweight and compact - perfect for travel or just relaxing at home. 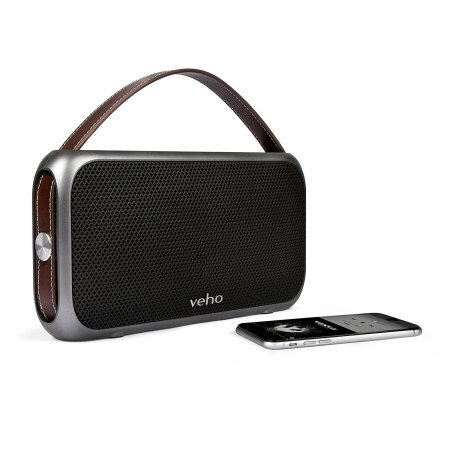 Relax and be impressed with the Veho M7's retro styling - featuring the Veho logo in a striking silver and volume controls positioned conveniently on the top of the device. Beautiful in any surrounding and even better, sounds as amazing as it looks. 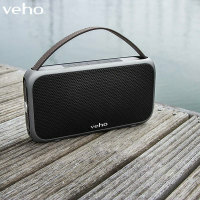 Veho's M7 Bluetooth Speaker features two 10W speakers, providing a big immersive sound that truly has to be heard to be believed. 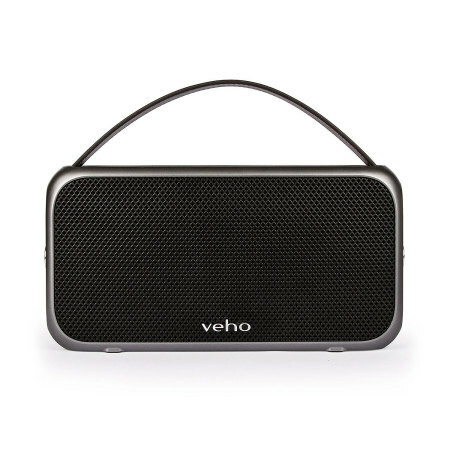 For convenience, the volume controls are located on the actual speaker - so you can control your music from the Veho M7, whether you are using Bluetooth or the line-in port located around the back of the device. 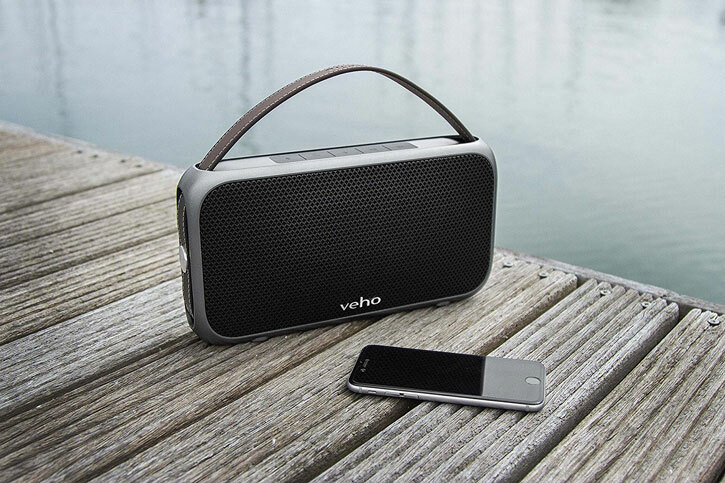 The Veho M7 Bluetooth Speaker is the perfect companion for all of your devices - including iPhone, iPad, mobile phones, smartphones, computers and Bluetooth dongles. This provides the flexibility to share your Veho M7 with all of your devices. 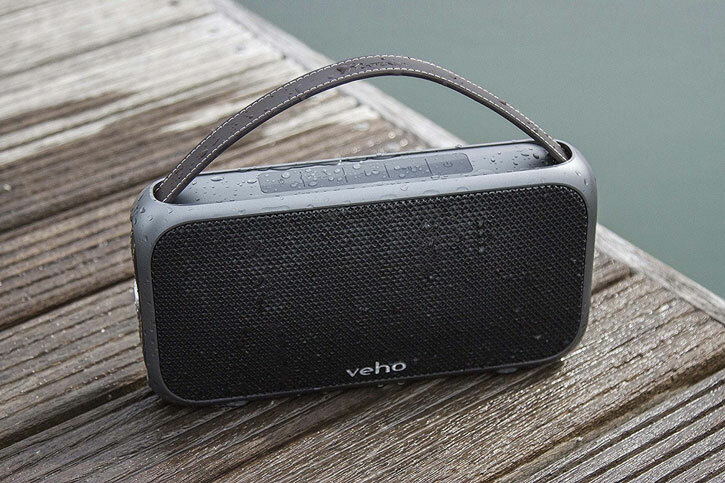 If you own a device that doesn't support Bluetooth wireless capabilities, no need to worry as the Veho M7 features a 3.5mm line-in port - so you can connect a wide variety of electronic audio and video devices. 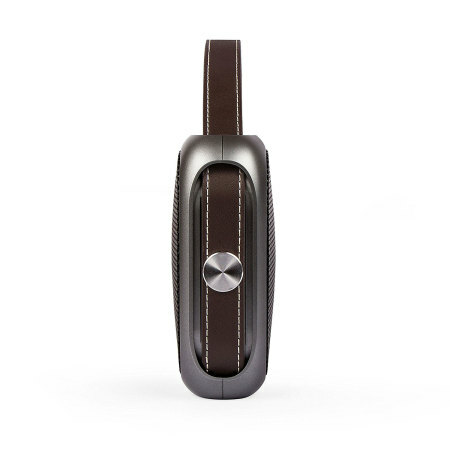 With a built-in Li-on rechargeable battery, you receive a massive 10 hours of playback time - providing a very pleasurable, lengthy music experience. 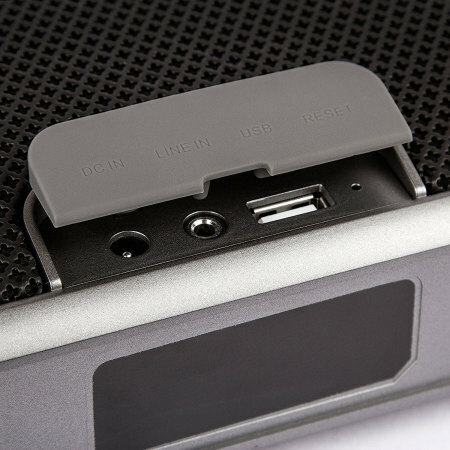 When the battery finally runs out of charge, simply connect the charging cable supplied and your speaker will be back up to full charge in no time. 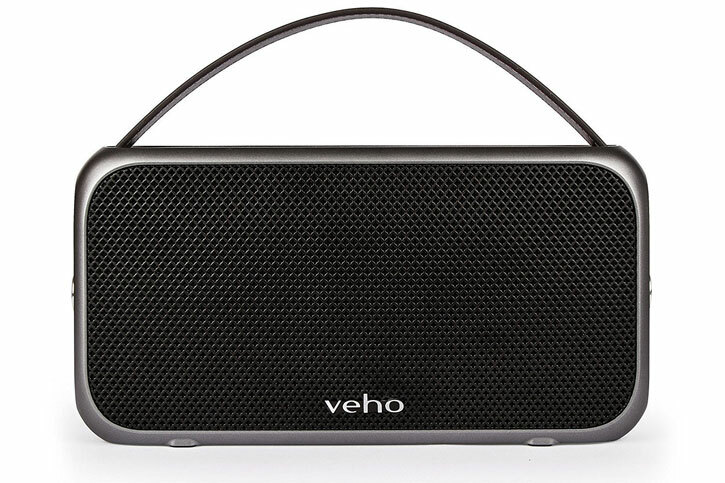 The Veho M7 Mode Retro Bluetooth Speaker features a built-in microphone. 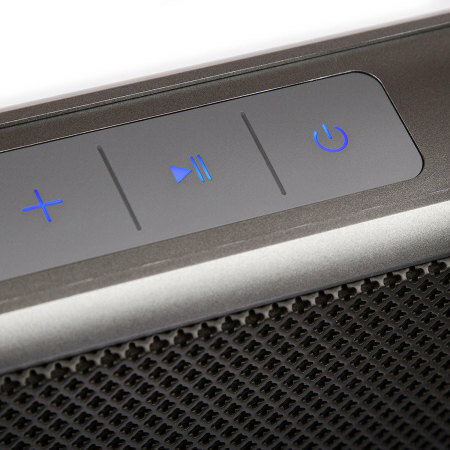 This is perfect if you're listening to music and you receive an incoming call, as it allows you to answer the phone and speak clearly through the M7 at the touch of a button. Particularly useful when performing a conference call or simply for personal use with video chat programs including Skype, Google Hangouts, FaceTime and more. You'll never miss a call with the M7's integrated music interrupt feature, as the music stops automatically when someone is trying to contact you. The Veho M7 speaker is designed for portability due to its featured carry handle, perfect for taking your musical selection with you wherever you go. Please note: This product comes with a UK plug fitted, but is switchable due to the included travel adapters.